It’s time to rethink the bedroom. We spend a third of our entire life there, the main purpose of which is to sleep, and so restore, revive and rejuvenate our bodies and minds. Good sleep is vital to our quality of life, essential to our health and wellbeing. So why haven’t we prioritized the environment in which we sleep? An adult should get 7-9 hours of good quality sleep every night. A teenager should get 8-10 hours, a child 9-11, an infant 12-15 hours. Good sleep can maximize problem-solving skills and enhance memory. Alternately, poor sleep has been shown to impair brain function and make us irritable and forgetful. Sleeping less than 7–8 hours per night is linked to an increased risk of heart disease and stroke. Sleep deprivation can cause prediabetes in healthy adults in a matter of days. A strong link has been shown between short sleep duration and type 2 diabetes. Poor sleeping patterns are strongly linked to depression. Inadequate sleep can affect your social skills and ability to interpret others’ emotional expressions. Given these stark realities, surely it’s a no brainer- we need to rethink the bedroom. Sleep hygiene is a medical term, first used in the 1930s, and is concerned mainly with creating an environment that is conducive to a good night’s sleep. It maintains that a regular sleeping routine combined with avoidance of certain practices that can wreak havoc on our sleep can work wonders in improving what is one of the most important tasks in our lives. So, what is an environment conducive to sleep? Cool, dark, comfortable, and with healthy air is a good start. If you are lucky enough to be thinking of redecorating now, then you have a huge opportunity to create for yourself a wonderful, healthy, sleeping pod that will certainly improve your quality of life. Firstly, consider the paint. Traditional paints often contain noxious chemicals which are irritants to our lungs and linked with all sorts of nasty diseases. Luckily, now paint tins are well-labelled and informative. A few moments checking the tin for information is well worth it. Now might be also the best time to check for lung damaging mold on the walls and treat it before applying your paint. Choosing a mattress with health and wellbeing in mind means considering other factors other than comfort. What material is it made of? Have the manufacturers used harmful chemicals in the process? Is it going to emit harmful gases? It is always a good idea to buy mattress encasings and this can be done whether you are buying a new mattress or not. Again, check the labelling – the purpose of the encasings is to prevent dust mite travelling through them, so they need to be manufactured appropriately. A typical used mattress can have up to 10 million dust mites in it. Dust mite love mattresses as they are warm, moist (from our bodies) and we provide them with delicious food in the form of our skin cells. Lovely. The house dust mite is the most common trigger of indoor allergies, leading to long-term poor quality sleep. If you suffer from itchy skin, rashes, stuffy nose, wheeze or sore eyes, these symptoms can be relieved dramatically simply by using mattress encasings. And don’t forget a pillow encasing – 10% of the weight of a two-year-old pillow can be composed of dead mites and their droppings. When it comes to considering the tiny but pesky dust mite elsewhere in the bedroom, a good strategy is to try and make the room and its contents easy to clean. Window drapes, throws, scatter cushions, multiple small ornaments, carpets may be your choice in terms of visuals but really you are creating a haven for dust mite. Blinds for the windows are easily wiped clean of dust with a moist cloth and provide the all-important darkness that is such an important part of sleep hygiene. If your collection of porcelain pigs or unusual seashells decorates a surface, you have set yourself up for a hard time. Surfaces and ornaments need to be wiped down twice a week to keep dust at bay. Are you really going to pick up and clean each individual item twice a week? Much better to store them in a pretty box and reserve surfaces for larger items. This also creates a space that gives the impression of serenity rather than a busy, cluttered environment. In kids’ rooms, plush toys should be stored away too. It’s always tempting to buy the best bargain but when it comes to bedroom furniture it may be a no-no for our wellbeing. Cheaply produced furniture tends to off gas more, releasing fumes into your sleeping sanctuary and potentially ruining your night’s sleep. Choose your furniture carefully and maybe even think outside the box – antique or used pieces can be beautiful, environmentally friendly and non-irritant to our precious lungs. We all have experienced the frustration and discomfort of trying to sleep in a room that is too hot or too cold. The ideal temperature for sleeping is between 60-67 degrees Fahrenheit so keep your room cool. Ideally this simply involves opening a window which has the added benefit of airing the room with clean air – just like our grandmothers did. If a polluted urban environment or extreme weather doesn’t allow this then it might be worth considering an air purifier, especially if you suffer from asthma or allergies. To maintain the bedroom’s ideal environment, we have to put some work in. It should be vacuumed twice a week to keep it dust free and to remove as much pollutants as possible from the air. This is best done with a vacuum cleaner fitted with a HEPA filter, which ensures that tiny but lethal pollutants aren’t just regurgitated back into the room. Choose cleaning products with care – avoid the super strength products that tend to be a source of VOCs thus contributing to poor air. Wipe down surfaces with a damp cloth twice a week to remove dust. Bedding must be washed once a week. And now that you have created your ideal sleeping space? Get yourself an evening routine and stick to it, don’t eat too late at night, avoid caffeine in the latter part of the day, turn off all phones, tablets and laptops. Now lie down, pick up a book and enjoy the reward of a deep and restoring full night’s sleep. Anna is a mum of three children, one with allergies, and she suffers from allergies and asthma herself. 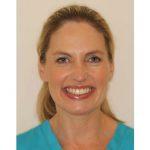 She is a qualified doctor and worked as a General Practitioner and as a dentist for a number of years. She is also an award-winning author.